Not only has production been ramping up, but estimated prices (per SAR reports) has been constantly going down since FY2013. It won't be long till, when you buy the set of pots. You get a choice of free steak knives or a F-35. I agree, we aren't getting any more shornets. It's just a few cluless senators feeling important. we are prepared to go IOC with 3i software. There is no hold-up, we are going 2019/20 and IOC in 2021 .. after the USAF and it looks like we will get 3F, what we really want. optimist wrote: It won't be long till, when you buy the set of pots. You get a choice of free steak knives or a F-35. Dragon029 wrote: If Plan B is to buy Super Hornets (and not adjust F/A-18A usage or do a partial SLEP, etc), they would likely buy a tranche of either 12 or 24-28 Super Hornets; the former adding another flight to 1 SQN, the latter meaning an early decision on AIR6000 Phase 2C and making the fourth fighter squadron be one of Super Hornets. With all that said however, I don't think "Plan B" will happen; it's recommended that it be decided upon by 2019, at which point the government will be trying to make a prediction on how Lockheed will perform in 2023. It'll be CASG or Defence making or heavily informing the decision however, and Defence has recently been relatively "optimistic" towards the JSF program, meaning that, so long as Lockheed doesn't have a major screw-up that delays orders by a few tens of jets, Defence / CASG's decision would almost certainly support continuing with "Plan A". From the rumours I have heard, 75 Sqn will trade in their Hornets for Super Hornets, a 'mini' OCU will stand up at RAAF Amberley and the oldest Hornets with the least FLEI remaining will be retired, with the rest equipping 3, 77 and 2 OCU until replacement by F-35. But hey, they are only rumours of course... Time will tell. Exactly what delays are they talking about? The program is ~18 months from SDD closeout. quicksilver wrote: Exactly what delays are they talking about? The program is ~18 months from SDD closeout. The concern is with potential production delays (eg if something like the insulation problem occurs and infects a hundred+ jets in production; the likelihood of it happening is low though). Conan wrote: From the rumours I have heard, 75 Sqn will trade in their Hornets for Super Hornets, a 'mini' OCU will stand up at RAAF Amberley and the oldest Hornets with the least FLEI remaining will be retired, with the rest equipping 3, 77 and 2 OCU until replacement by F-35. A mini-OCU sounds reasonable (6 SQN currently is the mini-OCU for Super Hornets, with jets deploying via 1 SQN, but with 6 SQN converting to Growlers soon it'd make sense for a 3rd unit to do conversion before people get to 1 SQN or 6 SQN), but I'm not sure about 75 SQN getting Super Hornets; it'd mean shifting a lot of infrastructure for little reason; either a bunch of Super Hornet related facilities out to Tindal, or all of 75 SQN's HQ / admin / transferrable GSE, etc to Amberley (not to mention, if 75 SQN leaves Tindal, the base would be likely to more or less shut down / put into reserve). As it is, the current plan for AIR6000 Phase 2C is that if a fourth F-35 squadron is formed, it'll be based in Amberley (they're trying to make it even more of a 'super base'). As such, I'd expect that 75 SQN stays as they are / waiting for F-35s, while a new squadron is formed / revived at Amberley. Dragon029 wrote: A mini-OCU sounds reasonable (6 SQN currently is the mini-OCU for Super Hornets, with jets deploying via 1 SQN, but with 6 SQN converting to Growlers soon it'd make sense for a 3rd unit to do conversion before people get to 1 SQN or 6 SQN), but I'm not sure about 75 SQN getting Super Hornets; it'd mean shifting a lot of infrastructure for little reason; either a bunch of Super Hornet related facilities out to Tindal, or all of 75 SQN's HQ / admin / transferrable GSE, etc to Amberley (not to mention, if 75 SQN leaves Tindal, the base would be likely to more or less shut down / put into reserve). "Expect Australia’s finger to be on the trigger in case of further delays in the Lockheed Martin F-35 Lightning program. A parliamentary committee has called on the defense department to prepare a backup plan, increasing the possibility of the country ordering more Boeing F/A-18 Super Hornets. The committee did not go as far as recommending that Canberra place another Super Hornet contract. But its proposal closely follows the reasoning of a submission from a think tank, the Australian Strategic Policy Institute (ASPI), urging the government to be ready to do so no later than 2019. Separately, the Royal Australian Air Force (RAAF) has mentioned the possibility of a further Super Hornet order, apparently without much conviction, while also suggesting the F-35B, the vertical-landing version of the Lightning, as potential equipment. Unmanned strike aircraft are notably absent from its list of alternatives...."
A Kindly E-mail Correspondent has sent (I guess) most of the relevant text to above article.... Note that IF RAAF concerned about F-35s on our northern bases then IF they have some Bs up there THEN those Bs can temporarily reside on our LHDs - to be moved and offloaded at another northern base OR just returned to same northern base in the game of hide and seek as mentioned in the long thread about Bs on Oz LHDs many moons ago now.... Why not Fleet DEF also? A great forward at height ISR asset to punch those ship missiles long ranges and/or other good Networking stuff laddie. BUT youse have heard it all before and no correspondence will be entered into. I'll go check for this MYTHICAL ASPI address c. July this year. Separately, the Royal Australian Air Force (RAAF) has mentioned the possibility of a further Super Hornet order, apparently without much conviction, while also suggesting the F-35B, the vertical-landing version of the Lightning, as potential equipment. Unmanned strike aircraft are notably absent from its list of alternatives. Australia is acquiring 72 F-35As to replace 71 Boeing F/A-18A/B Hornets, survivors of an original fleet of 75 that were delivered starting in 1985. Next, Canberra is due to decide in 2022 or 2023 how to replace 24 F/A-18F Super Hornets that entered service in 2010 as strike aircraft and are penciled in for retirement around 2030. The order should cover 28 aircraft. The defense department told the panel, the Senate Foreign Affairs, Defense and Trade Committee, that Australia’s F-35A acquisition program had leeway to ensure that initial operational capability would be reached as planned in 2020. The Liberal-National government’s adoption of the committee’s bipartisan recommendation would be politically prudent but not compulsory. It would mean that the department would be poised for a Super Hornet order if the F-35 program slipped again. The RAAF is unlikely to be enthusiastic. It once hoped for a homogenous combat fleet of 100 F-35As. But an earlier administration, unwilling to countenance the chance of a capability gap, forced it into the risk-reduction move of introducing Super Hornets as early replacements for F-111 strike bombers. The service seems to still harbor hopes of an all-Lightning fighter and strike force. In a little-noticed address to an ASPI meeting in July, the head of the RAAF, Air Marshal Leo Davies, listed the candidates for Australia’s next combat-aircraft program as Super Hornets, F-35As and F-35Bs. Davies did not explain the merits of the third, quite surprising option, the F-35B. But an obvious possibility is that Australia has begun to wonder about the survivability of its northern airbases in the face of attack by Chinese cruise and ballistic missiles. Unmanned strike aircraft, until now officially listed as candidates for Super Hornet replacements, were omitted. According to ASPI’s account of the address, Davies’s “reasoning was one of timing—since we have to make a decision by 2022 or 2023, it is unlikely that unmanned systems would be good enough for air combat in time.” The think tank suggests that the decision could instead be deferred, since the Super Hornets could last until 2040. But the RAAF may have another reason for sticking to the schedule. If, by 2030, all the fighter and strike squadrons are equipped with new or fairly new manned aircraft, then any combat drones ordered around that time would become supplementary, expanding the fast-jet force. An impending order for armed, medium-altitude, unmanned aircraft, likely to be General Atomics MQ-9 Reapers, will presumably result in the RAAF having a squadron that will eventually need reequipping with jets. Well past 2030, the service will also have 12 EA-18G Growler electronic attack aircraft, due to be initially operational in 2018. Their commonality with Super Hornets is not an argument for keeping the latter for longer, RAAF officers have suggested, since Australia could easily rely on the U.S. Navy’s support system for Growler sustainment." I'm out of the loop, but I really can't see any more SH, we will have at least 3 fighter squadrons with the same plane, min 72. otherwise the CONOPS falls apart. I can't see them having 5 squadrons, plus growlers. we will keep 4 squadrons, plus growlers. OzGubmint F-35info Cranks UP! man.... below is a quote from an article in a startmeup quarterly Oz F-35A info PDF. ...“A Cybersecurity Accreditation confirms that ALIS has sufficient protection measures in place to counter external and internal cybersecurity threats.” said AVM Gordon [Head of JSF Division, Air Vice‐Marshal]. ...To manage and sustain the highly complex F‐35 information environment, the Australian F‐35A Program has built a dedicated information systems centre, the Off‐Board Information Systems Centre (OBISC) at RAAF Base Williamtown. This facility is unique to Australia and offers an edge over other F‐35 Partner nations. “The OBISC provides Australia with an environment in which we can simulate the F‐35 information system to test its true capability, much like an aircraft simulator.” said AVM Gordon. But but... APA says the F-35 is a lemon. Can't turn, can't climb, can't run. APA will have a chance perhaps to chekova two F-35As 'subject to availability'? HUH - they are either there or not Shirley. This of course is subject to availability, but it will be the first time locals will be able to see the jets up close on the static line. Both jets are currently working at Luke Air Force Base as part of the international training pool. The ADF currently has four pilots (all instructors) and four maintainers (three RAAF and one CASG) at Luke undergoing training...."
I wonder if BillyBobBoySweetiePie gets a chance to get a 'once over' these centre fuselages at NG? Oh the HORROR! "No fewer than six centre fuselage sections for the RAAF’s next batch of F-35A Joint Strike Fighters are currently in production at Northrop Grumman’s F-35 Integrated Assembly Line (IAL) at Palmdale, California. The fuselage sections are for six of the RAAF’s next eight F-35As, which are scheduled for delivery in 2018, after the first two Australian jets (AU-1 and AU-2) were handed over in 2014. 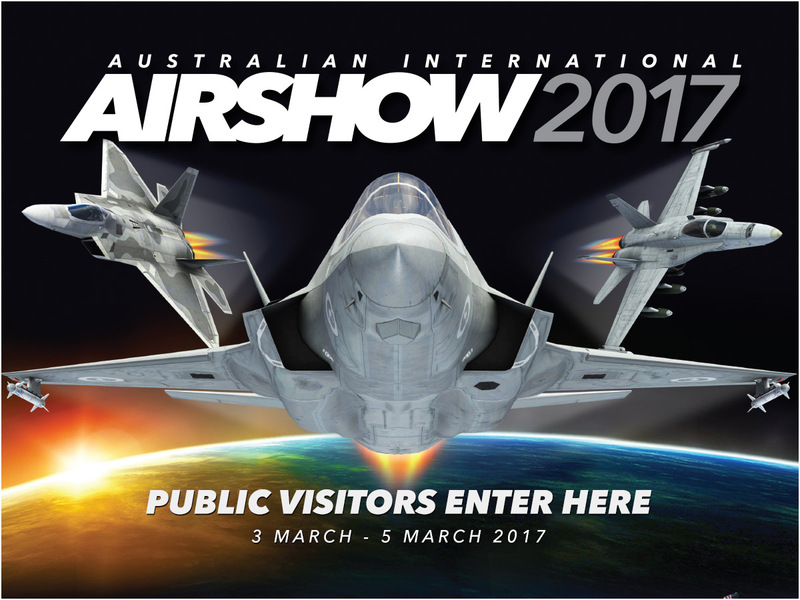 “We’ve currently delivered two aircraft to the Australian air force, we have six aircraft that are [currently] in our assembly process, [and] we’ll actually deliver seven this year,” Corey Carruth, the F-35 IAL’s director of manufacturing, told Australian media during a tour of the Palmdale facility earlier this month. ...Northrop Grumman delivered the first RAAF F-35 centre fuselage for AU-1 in October 2013. AU-1 and AU-2 have been based at Luke Air Force Base, Arizona since late 2014 as part of the International Pilot Training Center there. Of the next eight jets, two will ferry to Australia in 2018 for Australian operational test and evaluation, while the other six will be based at Luke for pilot training before being ferrying to Australia in 2020."